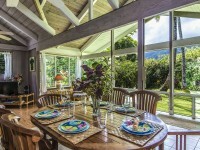 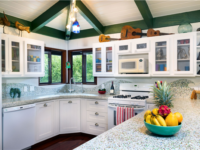 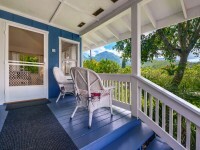 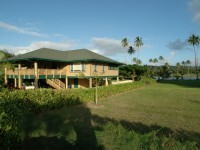 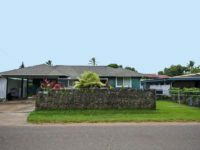 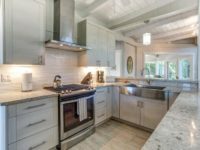 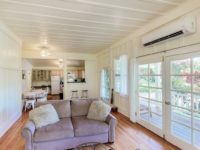 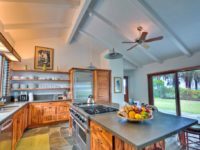 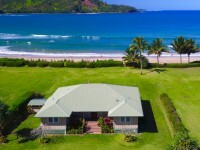 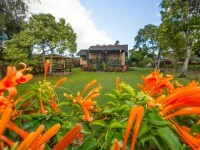 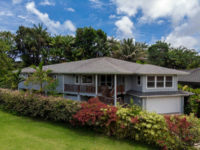 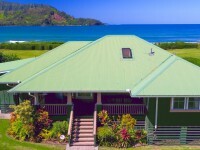 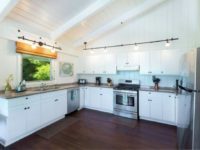 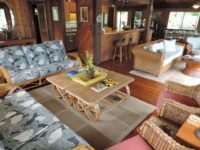 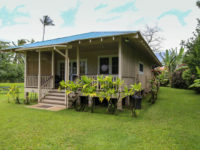 HANALEI, KAUAI VACATION RENTAL: Hanalei Makai is a lovely 3 bedroom, 2 bath home situated on the mountain side of the street running along Hanalei Bay, rated the Top Beach in the United States by Dr. Beach, on the lush and beautiful North Shore of Kauai. 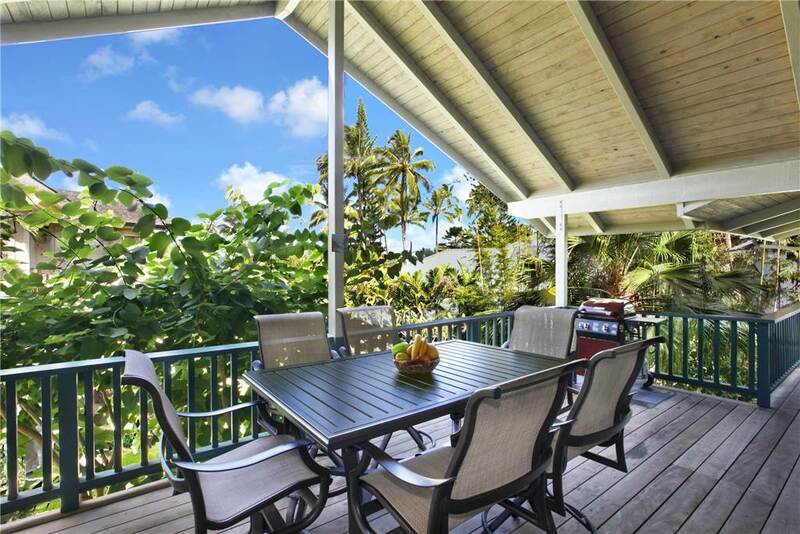 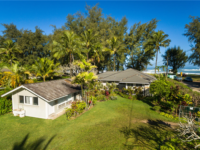 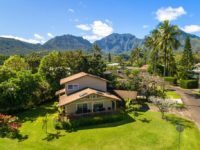 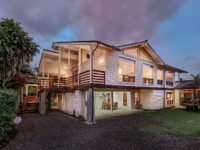 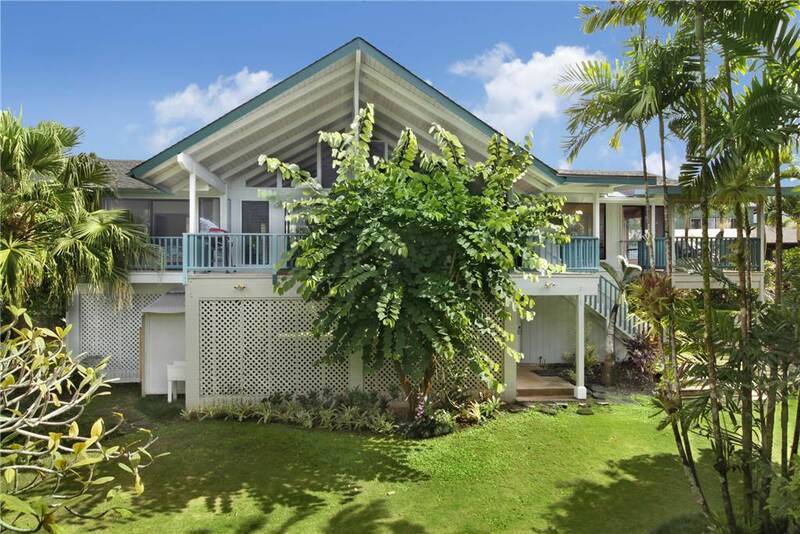 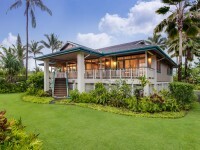 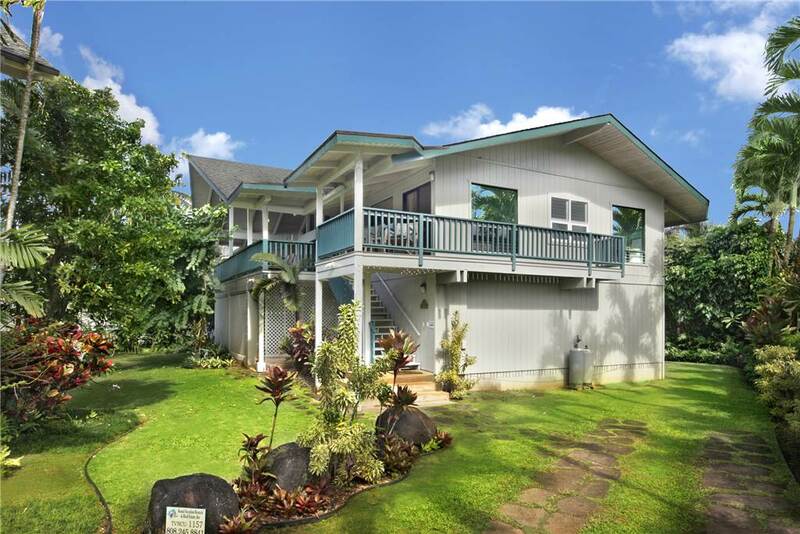 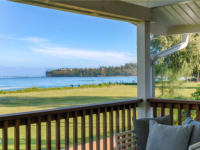 Imagine beginning each day with a leisurely walk along the breathtaking beachfront of Hanalei Bay or enjoying a sunrise sitting on one of the home’s beautiful lanais with breathtaking garden and mountain views. 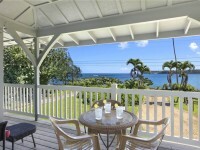 There is even a view of the ocean from the lanai of one the bedrooms. 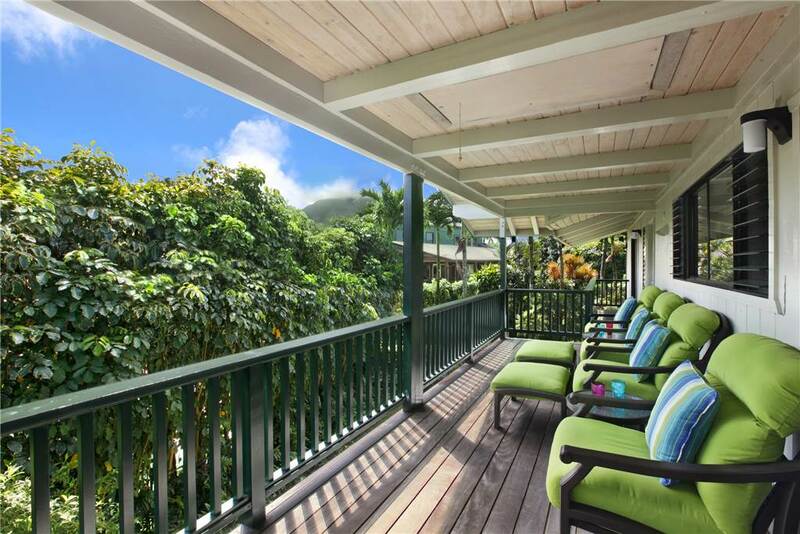 Tropical sunsets and gentle trade breezes will invite you to spend your evenings outside in the comfortable seating and lounging on each lanai. 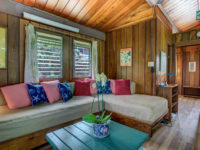 Hanalei Makai is also a short, easy walk into Hanalei town with its wonderful dining, shopping, local grocery stores and farmer’s markets. 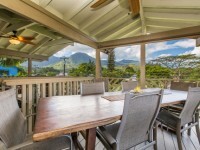 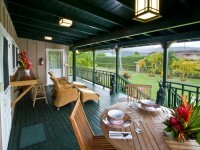 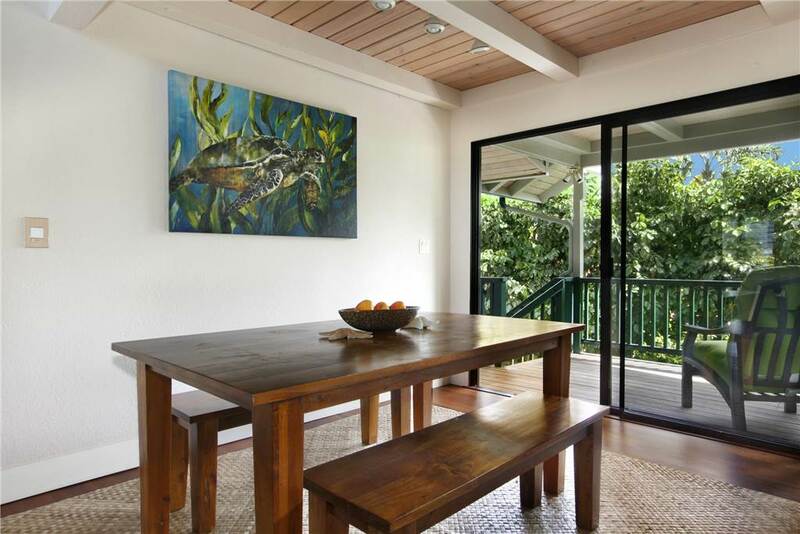 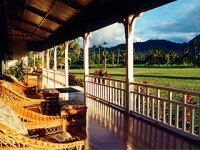 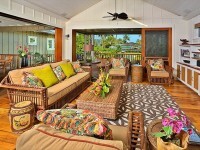 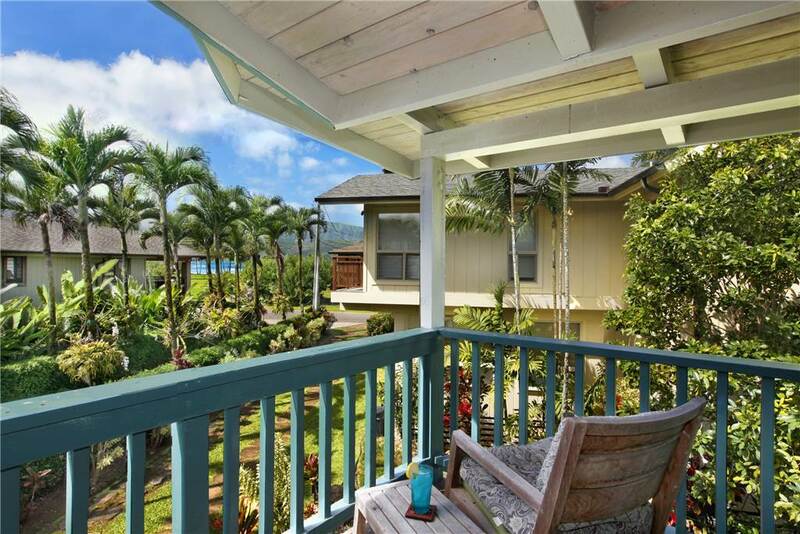 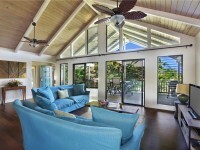 It is ideally situated just down the street from the iconic, photogenic Hanalei Pier. 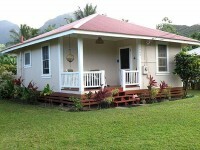 The home has three bedrooms, two bathrooms and sleeps six very comfortably. 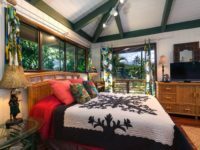 The Master Bedroom has a king-sized bed with beautiful garden and mountain views and opens onto one of the large lanais. 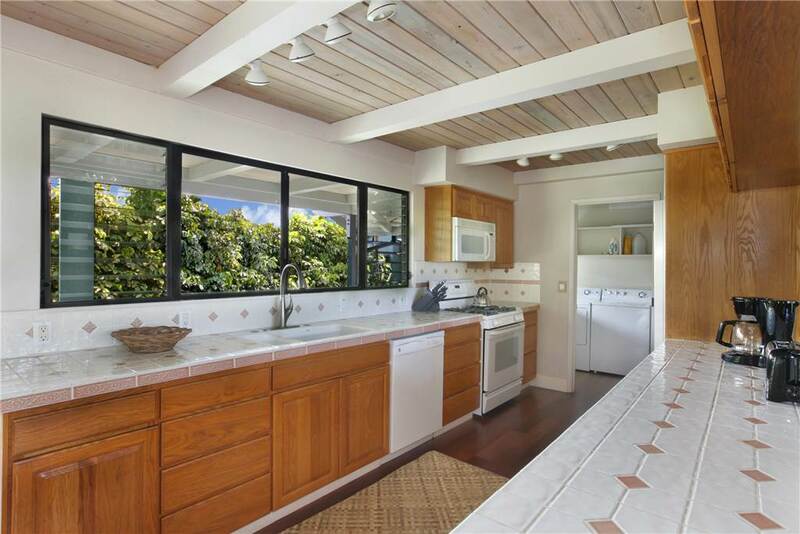 The Master Bath has double sinks, a glass-enclosed shower and a spacious closet and dressing area. 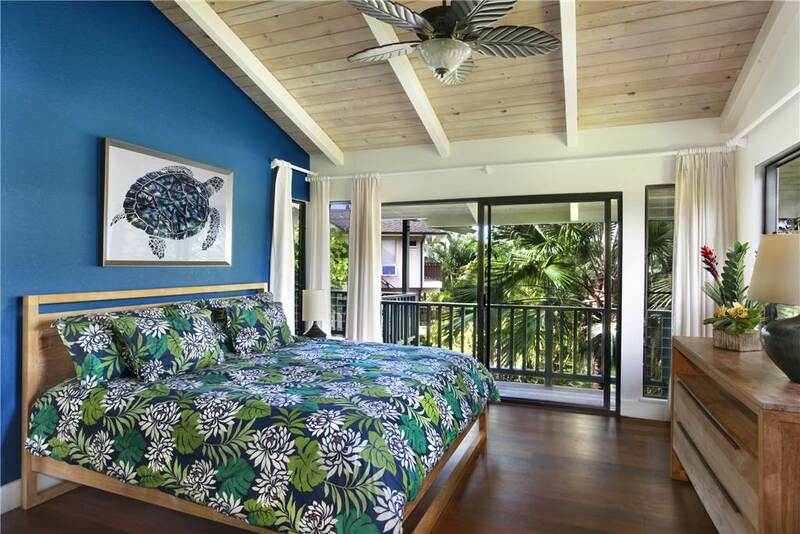 A second bedroom also has a king-sized bed and has a private lanai with beautiful ocean views. 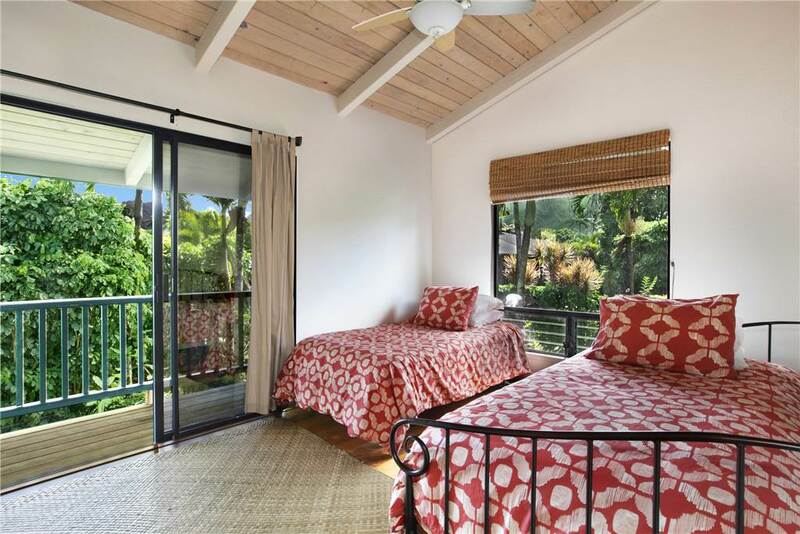 The third bedroom which also has access to one of the lanais has two twin beds (one is a trundle) making it a perfect room for kids. 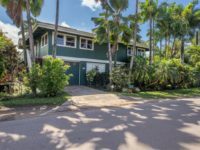 This beautifully appointed home has a spacious living room with a big screen TV, DVD player, iPhone docking stations, and wireless high-speed internet service which is easily accessed anywhere in the home and on the lanais. 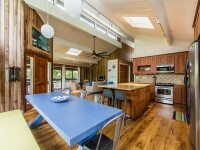 Beautiful Ipe hardwood flooring flows throughout the house, inside and out. 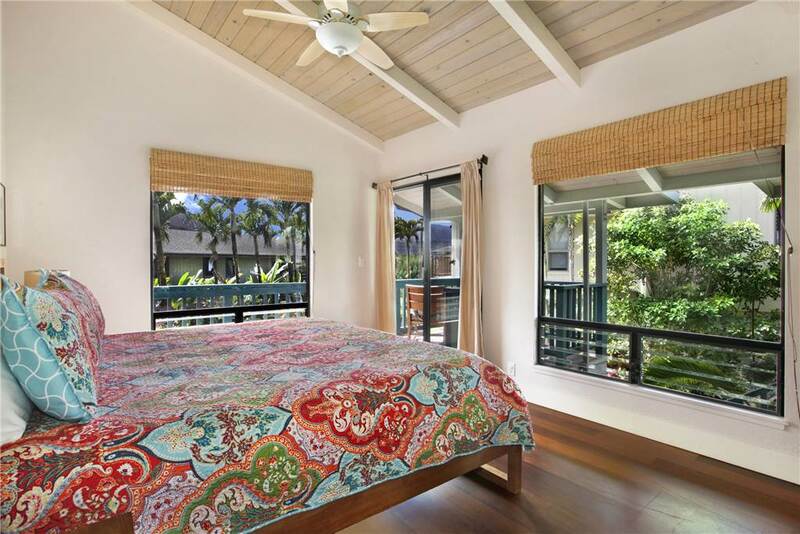 There are 12-foot cathedral ceilings throughout, and all rooms have large windows and sliding doors with wonderful views and which invite the tropical breezes to flow through the house. 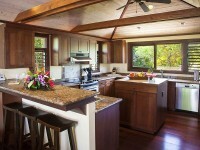 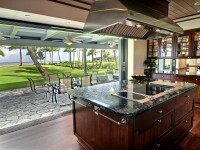 The kitchen is spacious and very well equipped for entertaining and dining at home if you choose. 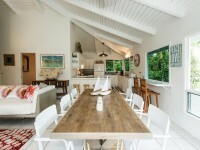 There is also a breakfast bar and an indoor eating area with table and seating for six. 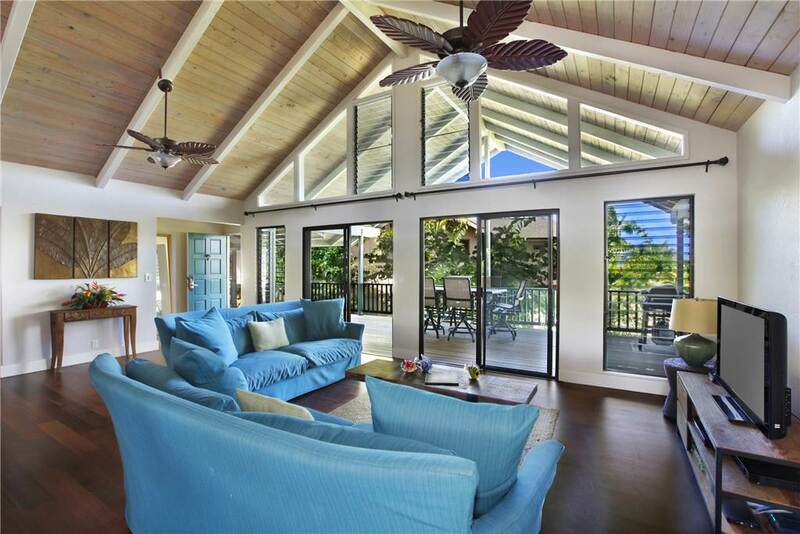 Each of the wonderful spacious lanais has Ipe flooring and is beautifully furnished for dining, entertaining and lounging. 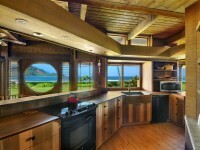 There is also a laundry room for your convenience.